Southampton is 12th overall in the University Impact Rankings published by Times Higher Education. 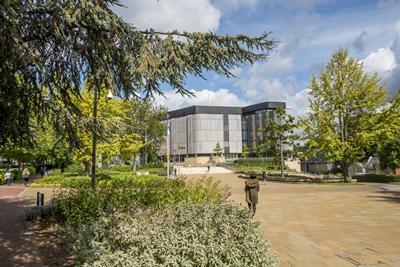 The University of Southampton has rated highly in a new ranking to capture universities’ impact on society and success in delivering the United Nations’ Sustainable Development Goals (SDGs). Southampton is ranked 12th overall in the University Impact Rankings compiled and published by Times Higher Education (THE). THE used data submitted by more than 560 universities from 80 countries to assess their institutional performance against 11 of the 17 SDGs to demonstrate the impact universities have on society and communities, beyond core teaching and research activities. Across each of the 11 SDGs, Southampton is rated 5th for ‘Decent Work and Economic Growth’ measuring universities’ employment practices and 8th for Climate Action, focused on energy usage and preparations for dealing with the consequences of climate change. The University is also ranked 12th for Responsible Consumption and Production which emphasises a sustainable approach to using resources – from ethical sourcing of food and supplies to waste disposal. Southampton places 20th for Partnership of the Goals highlighting the University’s collaboration with other countries and promotion of best practices and the publication of data. Southampton ranked joint 23rd for Good Health and Well-being referencing the University’s research on key diseases and conditions, support for healthcare professions and the health of students and staff. Southampton’s submission to the THE also featured examples of how university researchers are involved in shaping SDG-related policies and strategies nationally and internationally, engaging in cross-sectoral dialogue about SDGs through conferences and engagement with non-governmental organisations and tackling SDGs through student volunteering programmes, research programmes and the development of educational resources.